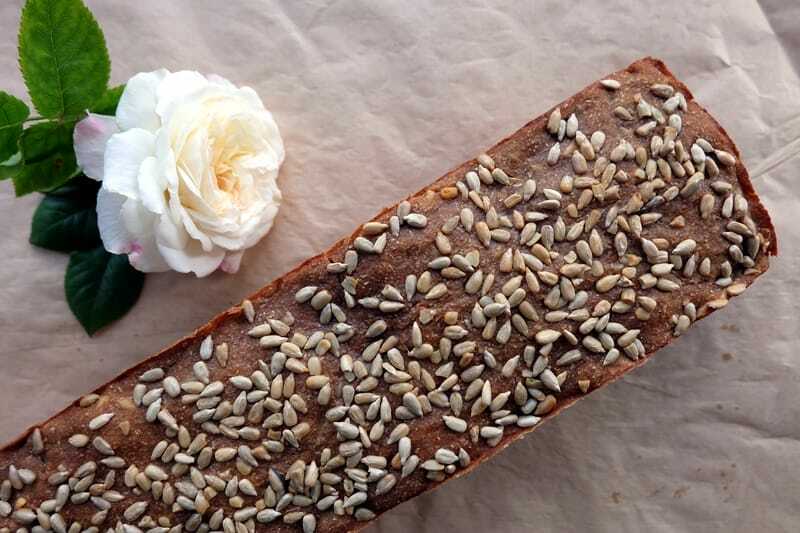 Adding seeds to homemade breads is a great way of enhancing the taste, texture and nutritional value of an otherwise plainer loaf. 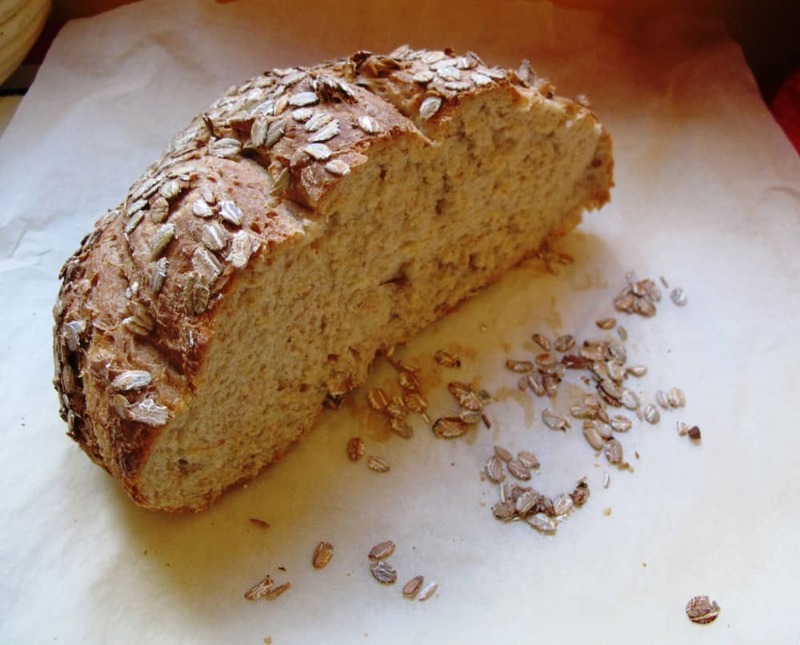 Here is a recipe for a multi-seed bread using different seeds (sunflower and pumpkin seeds as well as seeded flour) and a handful of chopped walnuts. 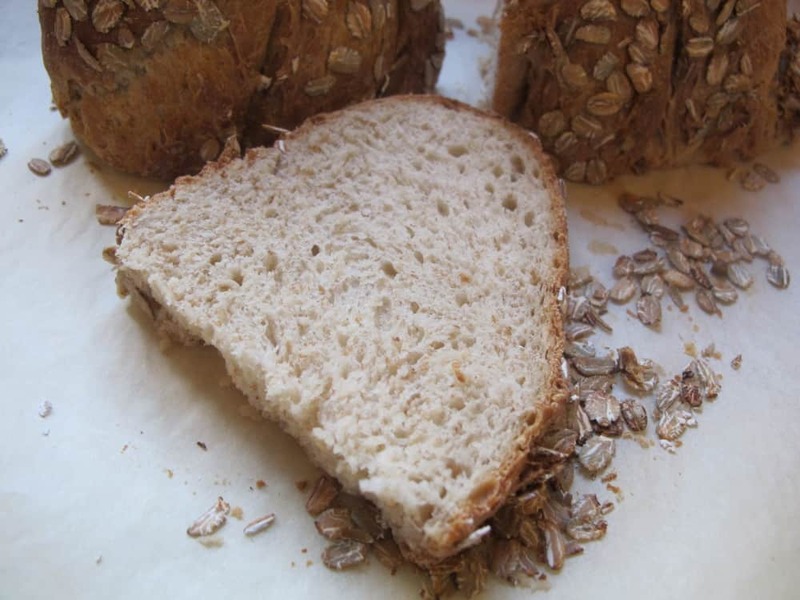 Dry-roasting the seeds and nuts first makes the loaf even more wholesome and delicious. 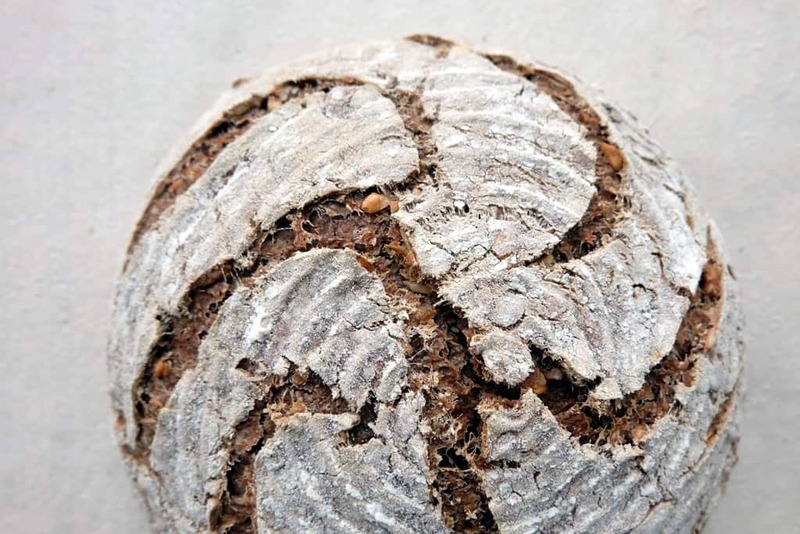 The flour I chose for this bread is Shipton Mill’s Three Malts and Sunflower Brown Flour, which contains malted wheat, rye and barley flour, blended with multiple ground seeds (sunflower, sesame, linseed and pumpkin seeds). 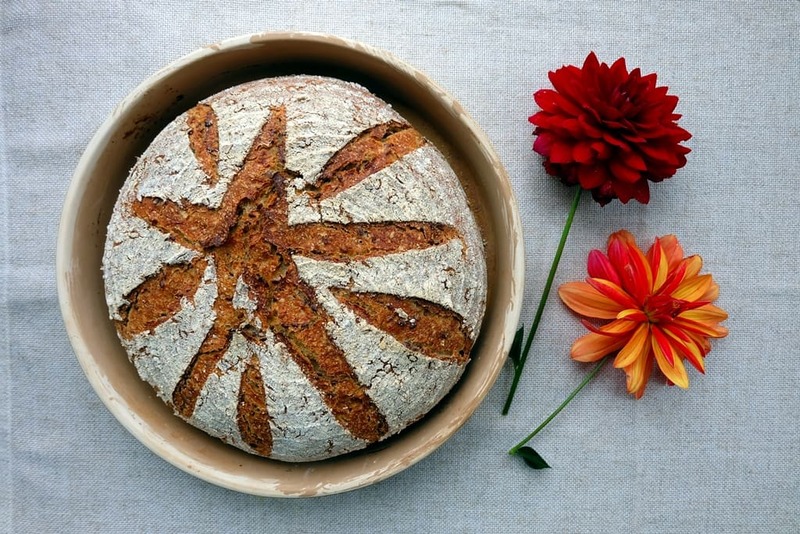 Bake the bread in a (La Cloche) baking dome to achieve a perfectly crunchy crust. Putting the lid on for most of the baking process, the closed dome traps moisture and creates stream for a crispy crust. 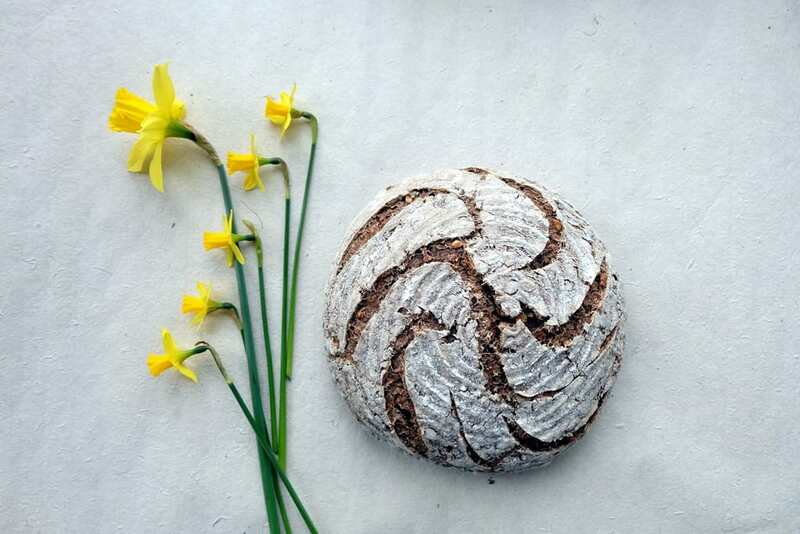 This beautiful loaf is based on a unique flour blend by Shipton Mill which also includes a multi-seed mix. 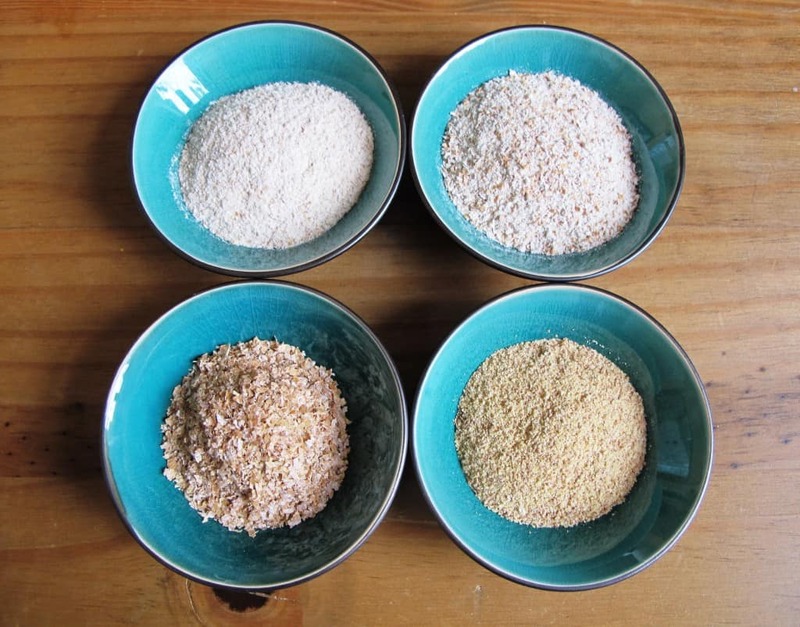 If you don’t have this to hand, you can make your own multi-grain and seed flour. 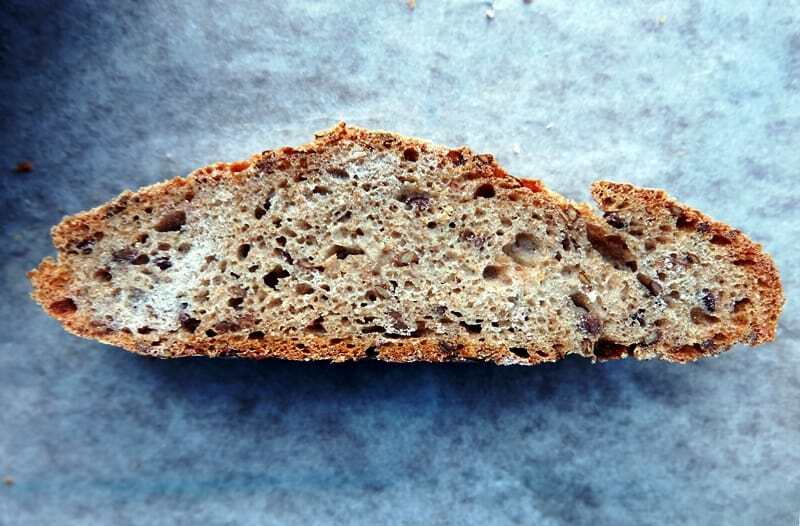 Add together finely ground wholewheat, rye and a smaller portion of barley or oat flour and add in some finely ground seeds (you can do this with a grain mill or coffee grinder). 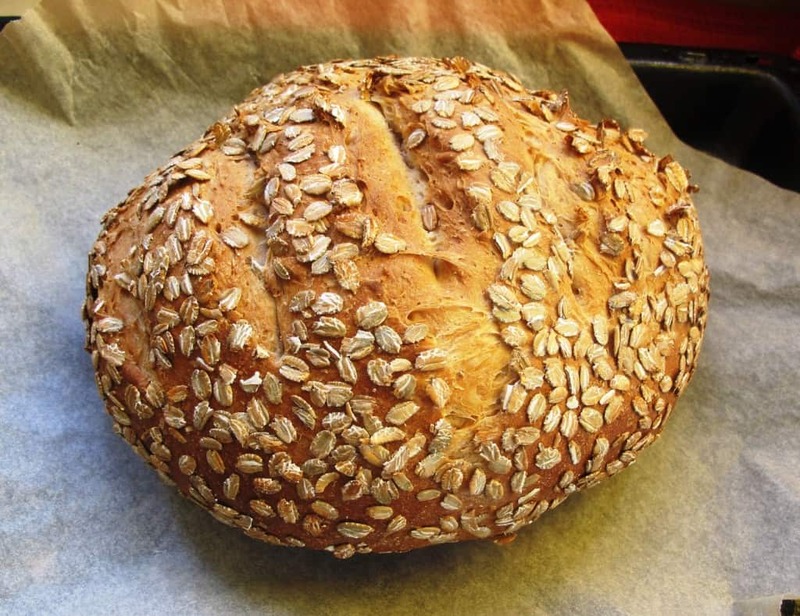 Feel free to experiment with different seeds to bake your perfect multi-seed loaf. 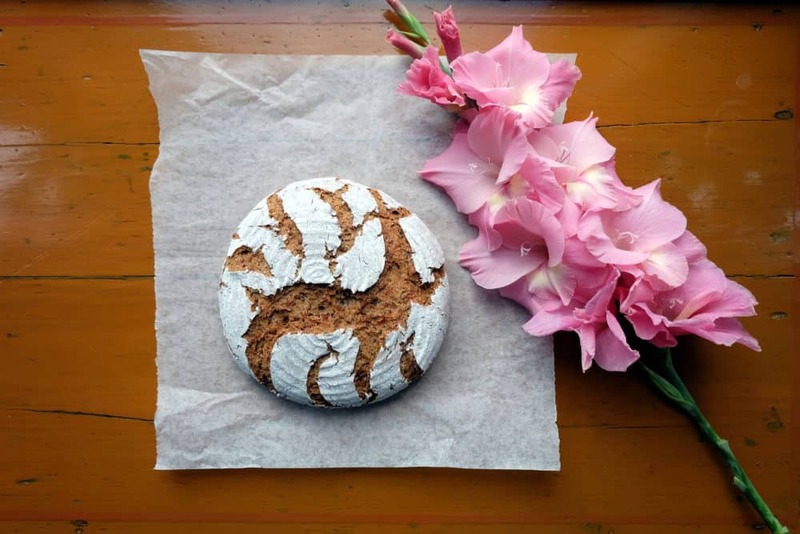 On the day before baking, refresh your sourdough starter, by combining the sourdough starter, wholewheat flour, white flour and water in a medium mixing bowl. Cover and leave to rest at room temperature for 12-14 hours. 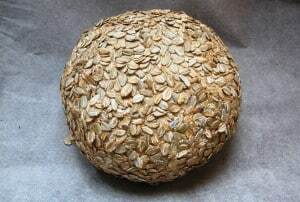 On the day of baking, start by dry-roasting the sunflower seeds, pumpkin seeds and chopped walnuts in a non-stick pan until they are nicely toasted and their nutty flavours are released. Add the water to soak the seeds and leave to stand for 30 minutes. After the 30-minute wait, you are ready to make the main dough. 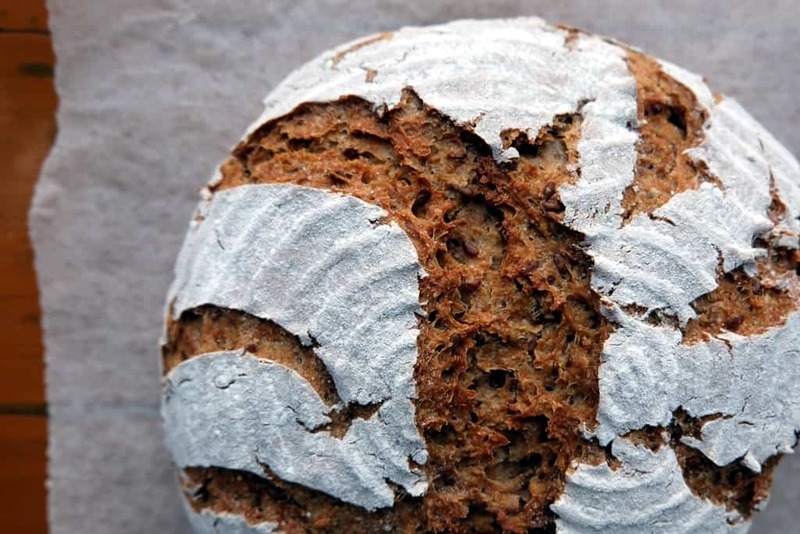 Combine 330g of the sourdough starter (the rest goes back into the fridge for your next bake), the seed and nut soaker as well as the remaining main dough ingredients in a large bowl and knead for 10 mins. Place the dough back in the bowl and cover the bowl with a lid. Leave to rest for an hour at room temperature. 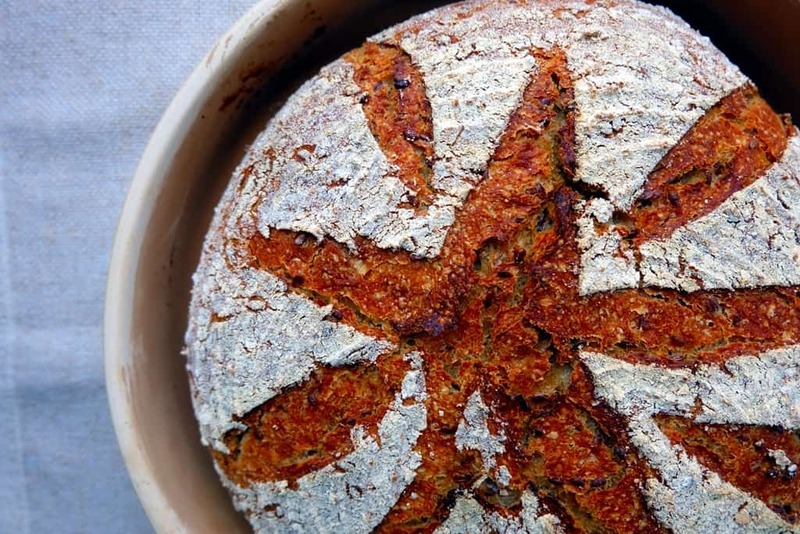 Once the dough has rested, give it another quick knead, shape it into a round loaf, cover it with flour and place it seam-side up into the proofing basket. Cover the proofing basket with a polythene bag to prevent the loaf from drying out and prove the loaf for several hours at room temperature until fully proofed. Preheat the oven to 220°C at least 20 mins before baking and preheat the La Cloche dome (including lid) at the same time. Carefully turn out the loaf from the proofing basket to the preheated baking dome plate. Score the dough by making a few incisions. Place the lid on the dome and put in the oven. Bake for 15 mins, then lower the heat to 190°C. Bake for another 30 mins, then take off the lid for another 15 mins. 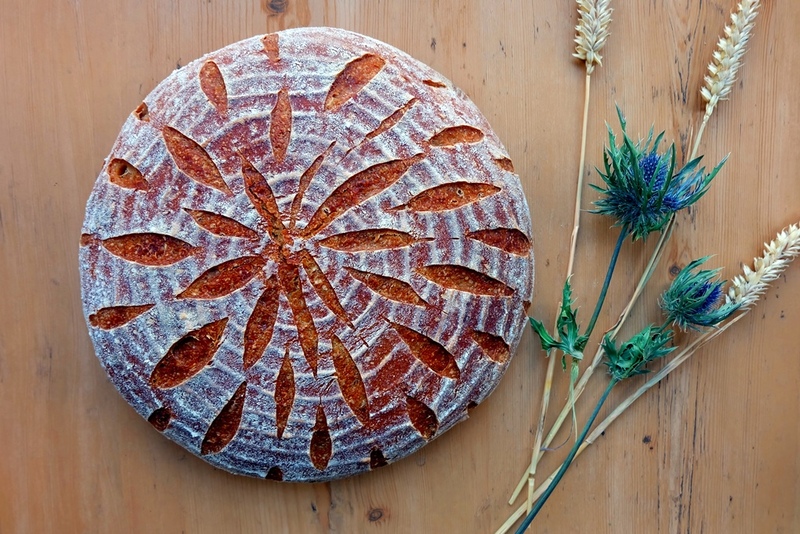 Cool the multi-seed bread on a wire rack. 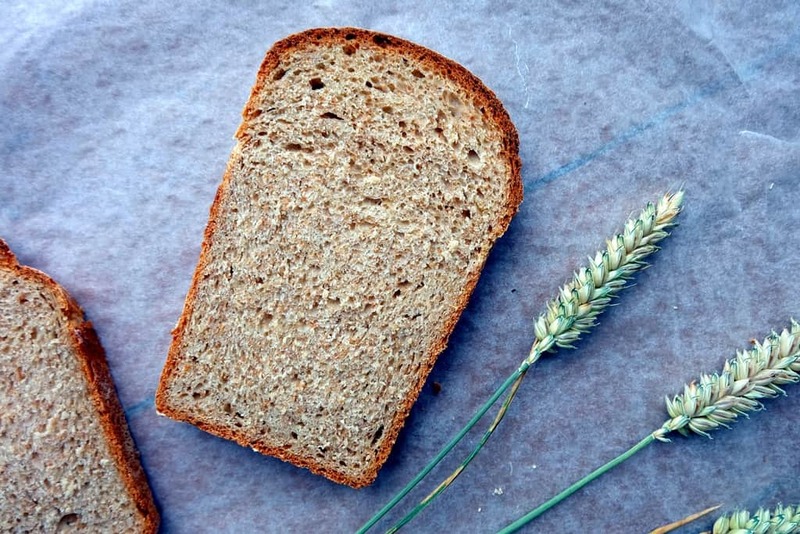 This whole milk bread recipe makes one of the most comforting loaves of bread I’ve ever tasted. It’s gorgeously soft and pillowy and deliciously wholesome. The proofing and baking process is a real spectacle as the dough boldly spills over the top of the tin and then rises to exuberant heights in the oven. 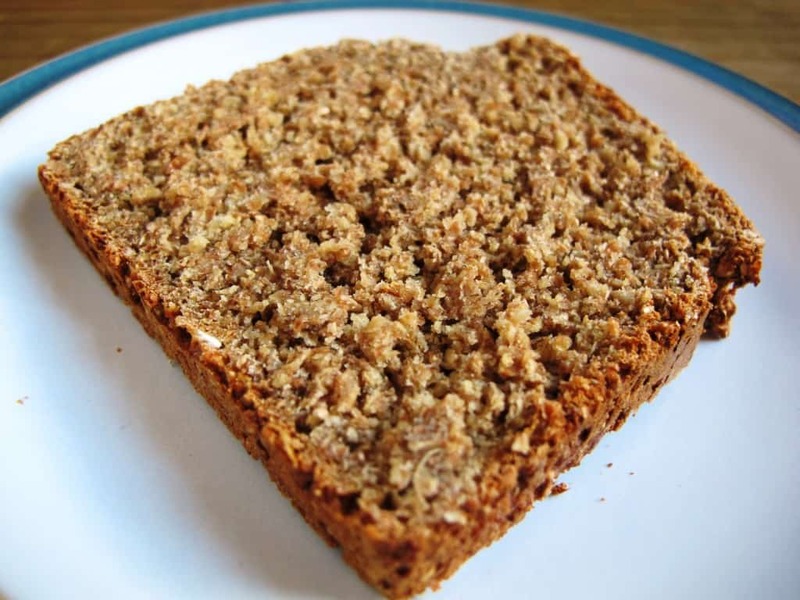 The fats in milk (especially whole milk) contribute to a soft and even grain in the crumb while the sugar found in milk (lactose) gives the bread a lovely golden colour as it caramelises on the loaf’s surface. Milk also increases the nutritional value of the loaf as it contains protein and minerals such as calcium. The addition of butter adds flavour and coats the gluten strands, making the bread more tender and the crumb more close-grained. 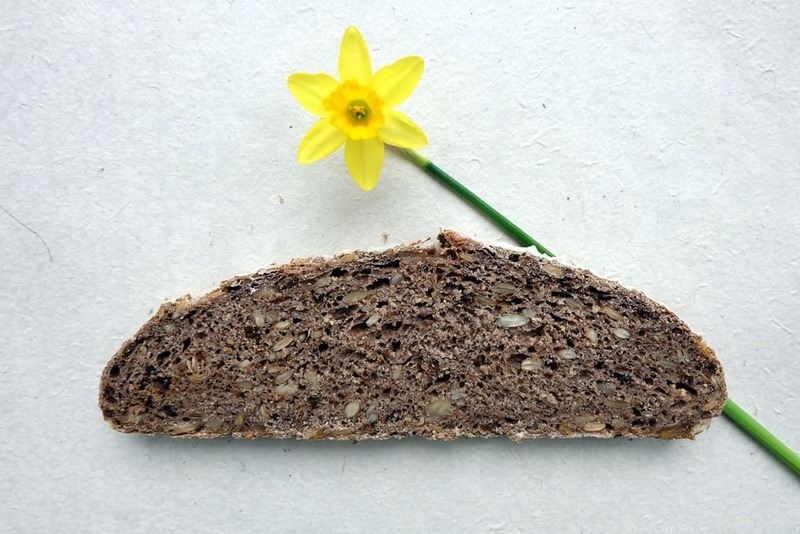 An additional benefit of adding fats to bread dough is the increased shelf life. 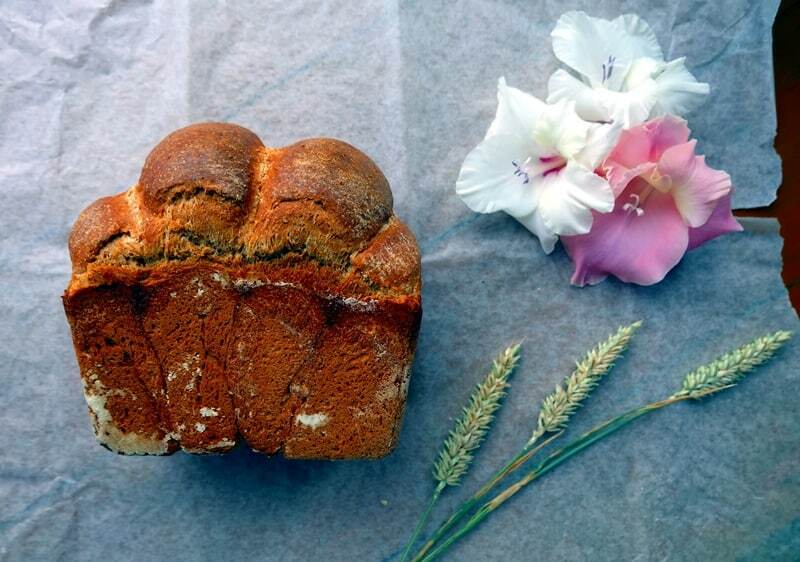 Honey adds a certain sweetness to the milk loaf and aids the browning process, making milk loaf slices perfect toasting material. In a bowl, whisk together the warm milk, honey and yeast. Add the flours, salt and melted butter and combine until all the ingredients have come together. Shape the dough into a ball and place back into the bowl. Cover and leave to rest for about 1 ½ hours. It should have visibly risen by then. Butter and flour a deep loaf tin (12 x 19 cm in size). Divide the dough into 2 or 4 equal pieces and shape each piece into a ball. I personally prefer using 4 pieces as the shape of the final loaf looks better. Place the dough balls side by side into the tin (smooth side up) and cover the tin with a clean cloth. Leave the dough to rise for 1 ½ hours until almost doubled in height. Preheat oven to 210°C (gas mark 6 ½) ½ hour before baking. Brush the top of the loaf with a little milk. Place the tin in the oven but make sure you leave enough space to allow for the additional rise – it tends to go a little bit crazy in there! After 15 minutes, lower the heat to 180°C (gas mark 4) and bake for a further 30 minutes. It’s picnic time! Well, almost… It’s mid-April and in Edinburgh we have maximum temperatures of 8°C and wind gusts of up to 47 mph. So, not quite picnic weather yet, but I’m sure when the Scottish summer comes, it’s going to be amazing! 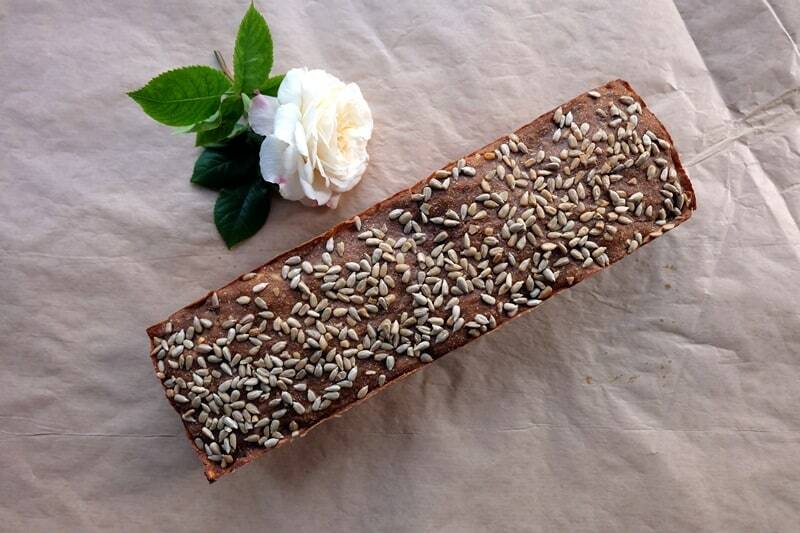 The unpredictable Scottish weather is exactly why a picnic loaf needs to be quick and easy to prepare here. 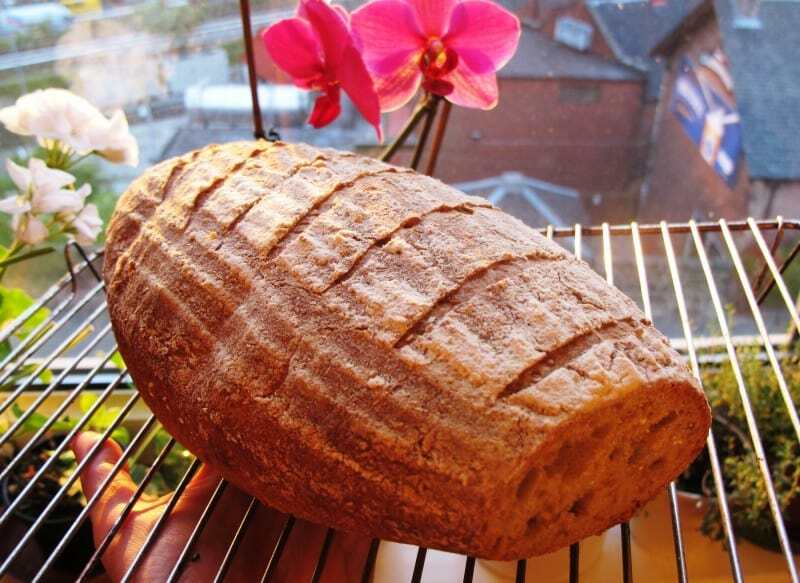 So you can judge the weather in the morning and still have time to make a lovely loaf to be ready for the early afternoon. 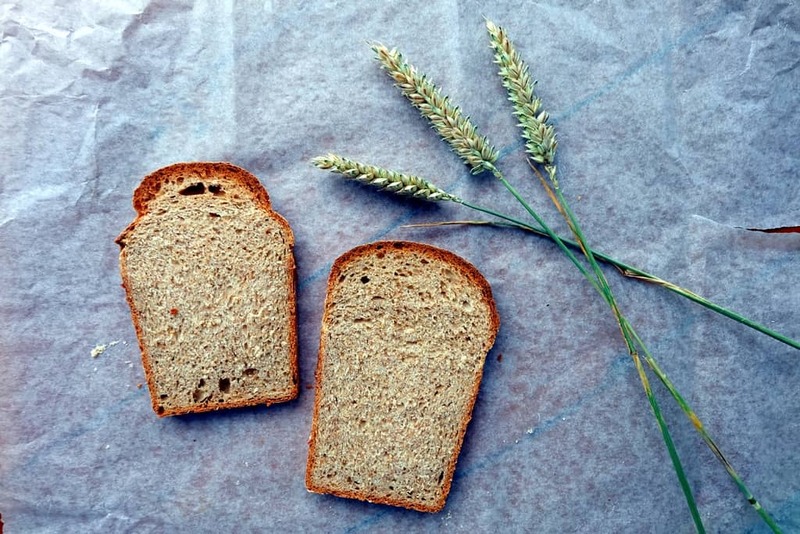 This picnic bread (a recipe by Dan Lepard) will take you four hours to prepare and as Dan says, “a homemade loaf turns a simple sandwich picnic into a feast to be proud of”. Pour the water into a large bowl, add the yeast (and chives), and mix. Whisk in the yoghurt, add the flours and salt, and mix again. Add a little water if the dough is too dry. It needs to have a soft, slightly sticky feel while holding its shape. Cover the bowl and leave for 10 minutes. Put a little oil on a clean work surface, knead the dough gently for 10 seconds, return to the bowl, cover and leave for 10 minutes. Lightly knead once more, return to the bowl, cover, and leave for 90 minutes until risen by half. Prepare two dinner plates: cover one with a wet kitchen towel, the other with a thick layer of oats. Shape the dough into a loaf (use a little flour if it’s too sticky). First, roll it over the wet-towel plate, then on the oat plate. Try to cover the loaf also on the sides. Place it seam-side down on the baking tray. Cover with a cloth and leave for about an hour to rise. Heat the oven to 220°C (gas mark 7). Cut a few diagonal slashes into the loaf. Good with soft cheese, salmon or trout, or just butter and slices of salted cucumber. Make it without chives, so if it rains, it’s a lovely bread to have with your breakfast or brunch the next day! 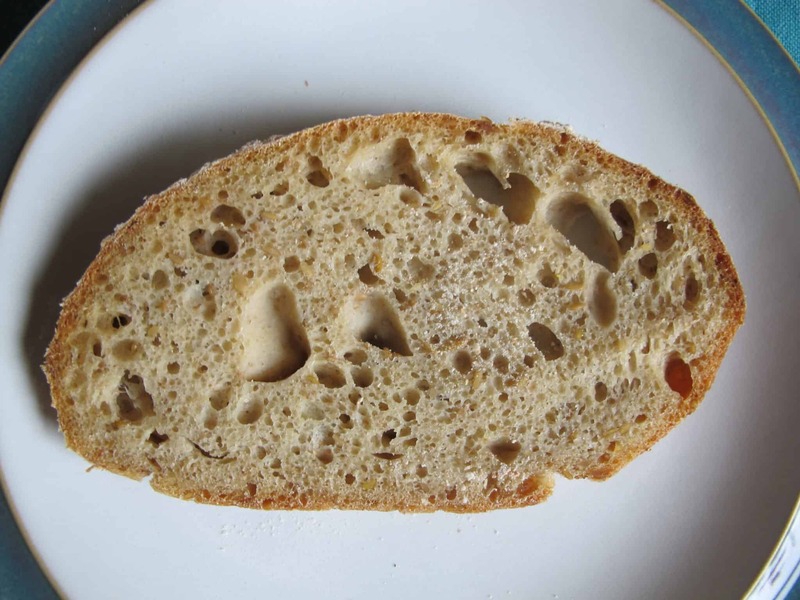 Picnic bread – check out that crumb! Watching the first episode of Ottolenghi’s Mediterranean Feast set in Morocco, I was (of course) inspired by the industriousness in the Moroccan bread bakery. It brought back memories of my first authentic Moroccan meal, sitting on a balcony overlooking the bustling Jemaa el-Fnaa in Marrakesh. 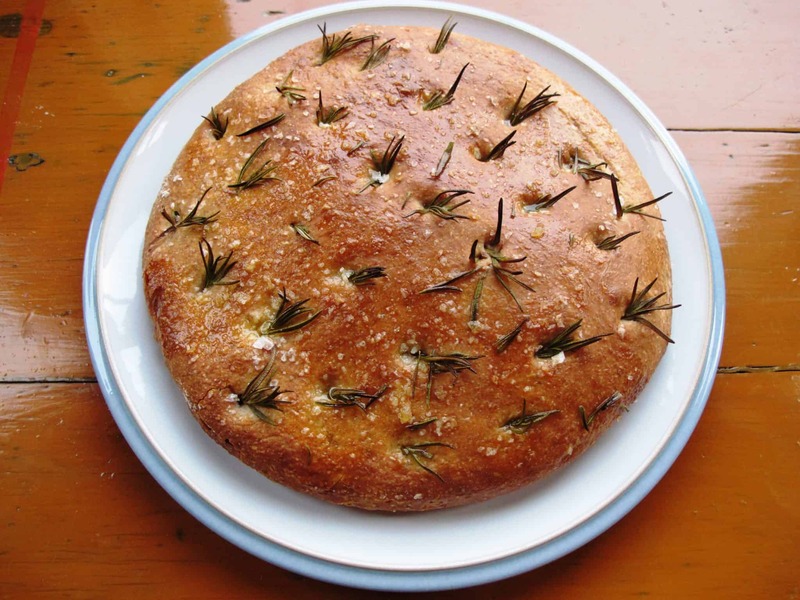 This authentic Moroccan bread, called khobz, is a round, flattish bread with plenty of crust making it an ideal bread for dipping and scooping up tagines and salads. 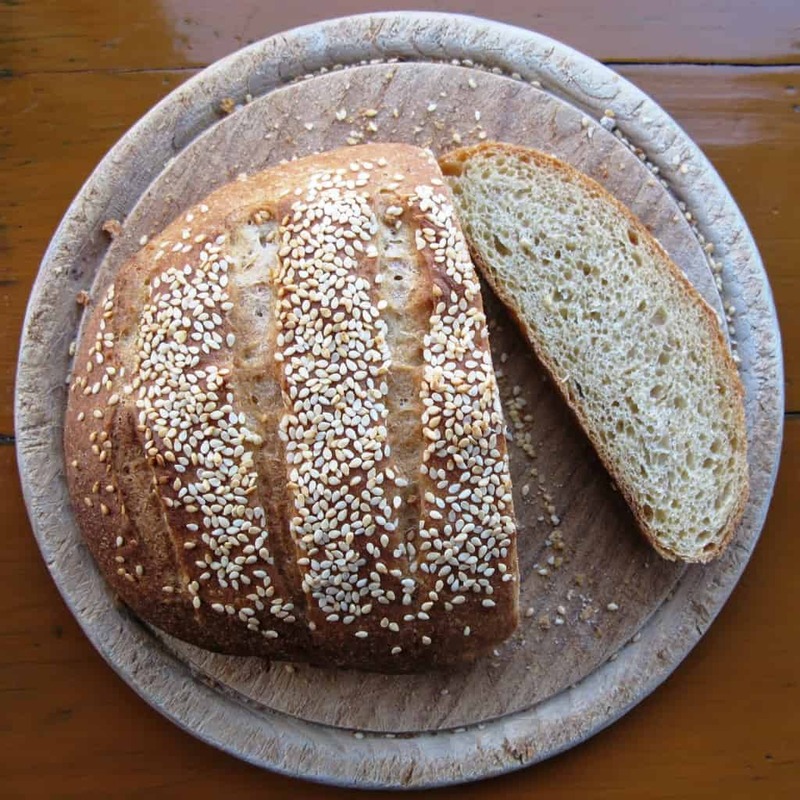 I found a wonderful recipe for Moroccan bread on the Culinary Anthropologist blog and have adjusted it slightly by using wholegrain spelt instead of wholemeal wheat flour. 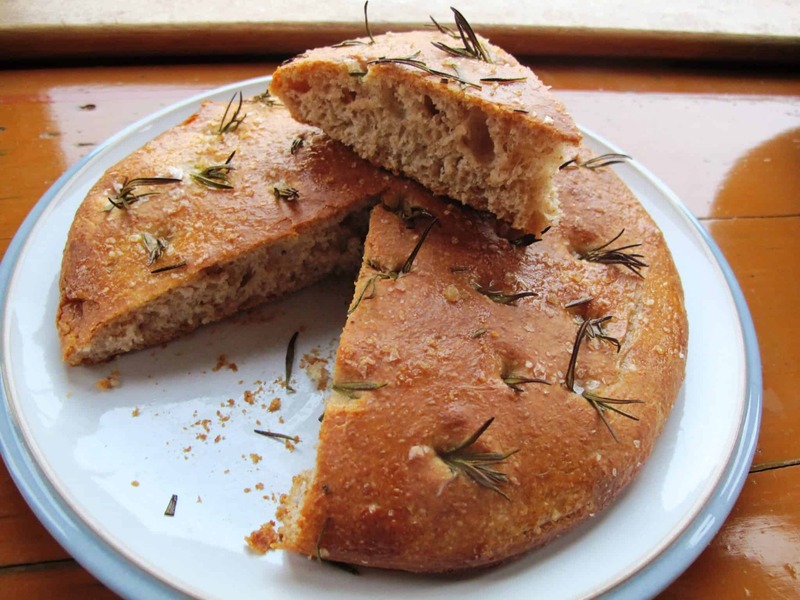 The bread is usually flavoured with anise seeds; however, I used fennel seeds instead which worked well. Combine the flours, salt, yeast and water in a large bowl. Knead in the sesame and fennel seeds. Lightly grease the bowl with olive oil. Shape the dough into a ball, place in the bowl (moving it around to cover the dough with olive oil), then cover the bowl. Prove the dough for approx. 2 hours (depending on the temperature in the room; it should rise significantly). Divide the dough into 2 halves with a dough scraper and shape each part into a ball. Prepare a baking tray and line with baking paper. Place the dough balls onto the baking tray and flatten them with your hands to about 4 cm in height. 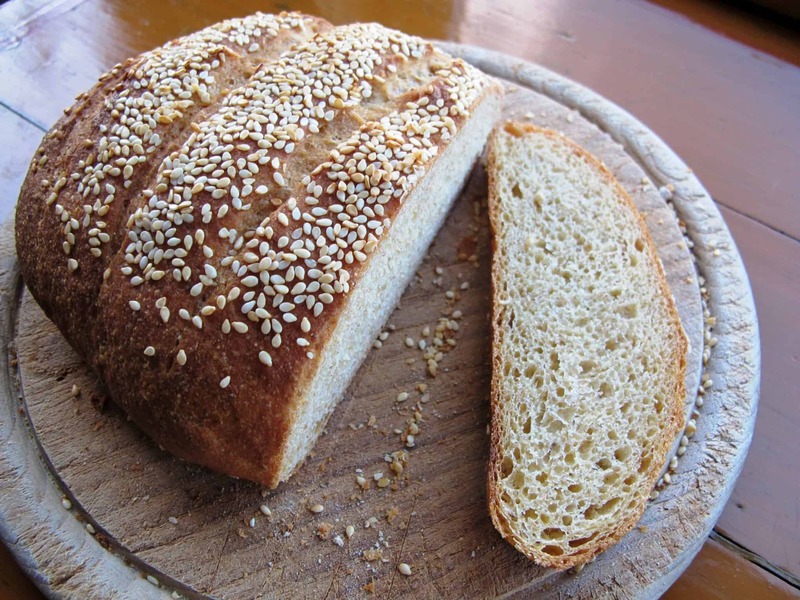 Sprinkle the loaves with the sesame seeds and use your flat hand to carefully press them into the dough. Cover the loaves with a tea towel and leave for their second prove. This should take about an hour. 1/2 hour before baking, preheat the oven to 240°C. Just before baking, brush the loaves with olive oil and make a few incisions. 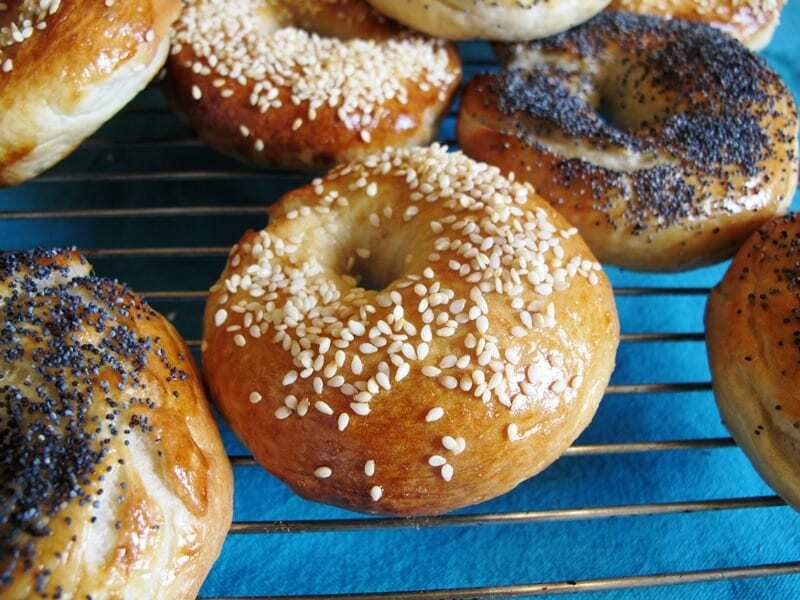 Khobz is best eaten on the day of baking. We had it with this super-tasty lamb tagine, a recipe by Antony Worrall Thompson. If you have any leftover khobz, try this spicy Moroccan bread salad recipe.